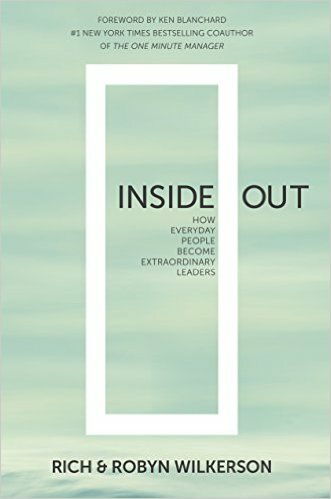 Rich and Robyn Wilkerson, Inside Out: How Everyday People Become Extraordinary Leaders (Springfield, MO: Salubris Resources, 2015). What qualities characterize extraordinary leaders, ones who make a decisive impact on the lives of their followers? Often, we turn to the rich, powerful, and famous to answer these questions, under the assumption that leadership requires prominence of that sort. But as Rich and Robyn Wilkerson point out in their new book, everyday people often make the most extraordinary leaders. The Wilkersons copastor Trinity Church, a multicultural, Assemblies of God megachurch in Miami, Florida. They also cofounded the Peacemakers Family Center, an innovative, award-winning social service organization ministering to the urban poor. Inside Out is a book about “the why and how of servant leadership,” whose stories and principles are largely drawn from their work in pastoral ministry and social service. The Wilkersons devote a chapter to each trait. The chapters include examples from the Wilkersons’ personal lives, testimonials from Trinity or Peacemakers members, a biblical reflection, and questions for discussion. Leaders can benefit from reading this book individually, of course, but I also think it can be used profitably with small groups and volunteer teams. A church imbued with these traits will no doubt have a thriving presence in its community. P.P.S. This review first appeared at InfluenceMagazine.com. Next Next post: What Is Crony Capitalism?